In the U.S., many look to him as a benevolent humanitarian simply trying to save the world from communicable disease. 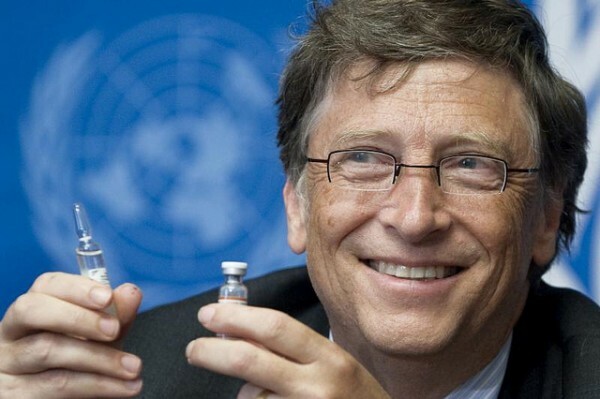 But in India, billionaire software guru Bill Gates has basically been told to get the hell out the country now that he and his wife Melinda’s infamous foundation has been exposed as nothing more than a vaccine-pushing fraud directly tied to Big Pharma. Backing these claims are several whistleblowers from the Indian non-governmental women’s organization Sama, which brought before authorities considerable evidence showing that young women were taken advantage of by Bill Gates and his cronies, who illegally injected dangerous vaccines into them without proper consent or even full disclosure as to what was being dispensed into their bodies. Besides receiving the dangerous vaccines, these same women were forced to submit copies of their fingerprints to government authorities, a coercive effort that only further indicts the Gates Foundation for human rights violations involving some of the most vulnerable members of the global population. “The Centre has shut the gate on the Bill and Melinda Gates Foundation on a critical national health mission, and possible conflict of interest issues arising from the foundation’s ‘ties’ with pharmaceutical companies is one of the reasons,” reports the Economic Times of India. Because India’s national health program has not been completely infiltrated by vaccine-pushing, drug-hawking eugenicists like Bill and Melinda Gates, various arms of its sub-agencies were able to support this decision and make it a reality. It took five years of battling with India’s Supreme Court, but ultimately it was all worth it because, for once, the globalists have lost a major avenue for pushing their agenda of death and destruction.